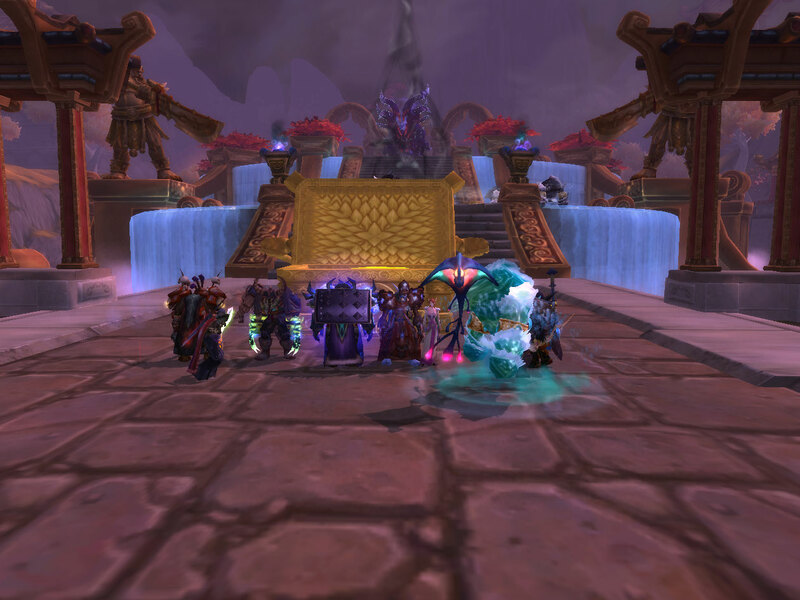 We might be a little late, but we recently completed tier 14. 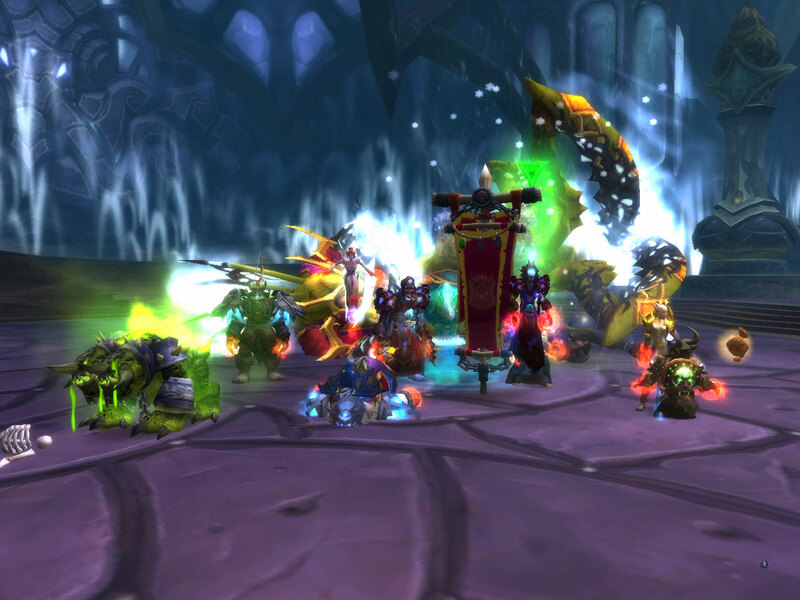 In the screenshot above, we’re standing next to the body of Grand Empress Shek’zeer, our last t14 boss. Previously we had finished Mogu’shan Vaults, gone 4/6 in Heart of Fear, and entered Terrace of Endless Spring a grand total of zero times. We started off our new adventure with Terrace of Endless Spring, skipping the end of Heart of Fear. Protectors of the Endless were pretty easy, and I didn’t even take any video or screenshots. 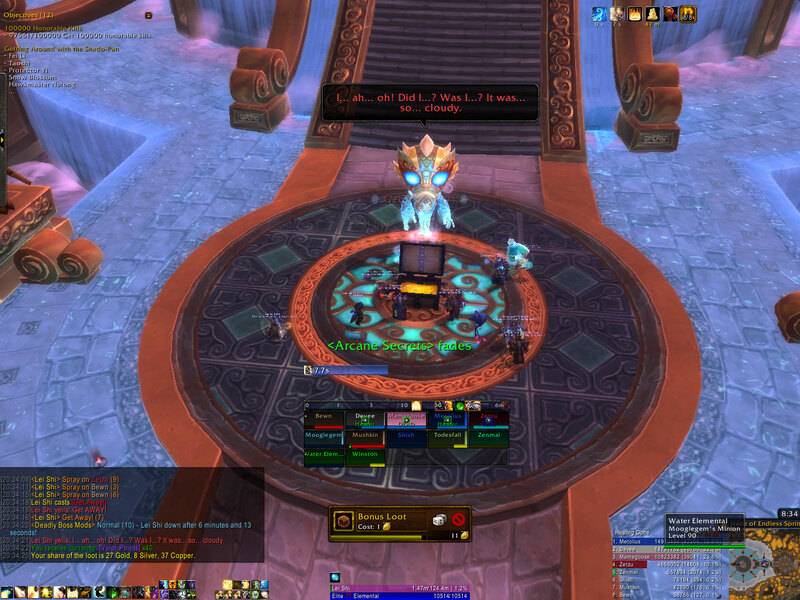 Tsulong was a fun fight, but maybe I’m biased being a healer. I’m glad to see Blizzard incorporate healing in odd ways. Hopefully these types of fights become a little more common than Valithria Dreamwak and Tsulong. You can watch our kill above. Lei Shi is my least favorite boss of this tier. She’s so annoying! Does Blizzard want certain bosses to have terribly annoying voices? I don’t understand. And here’s her kill video. 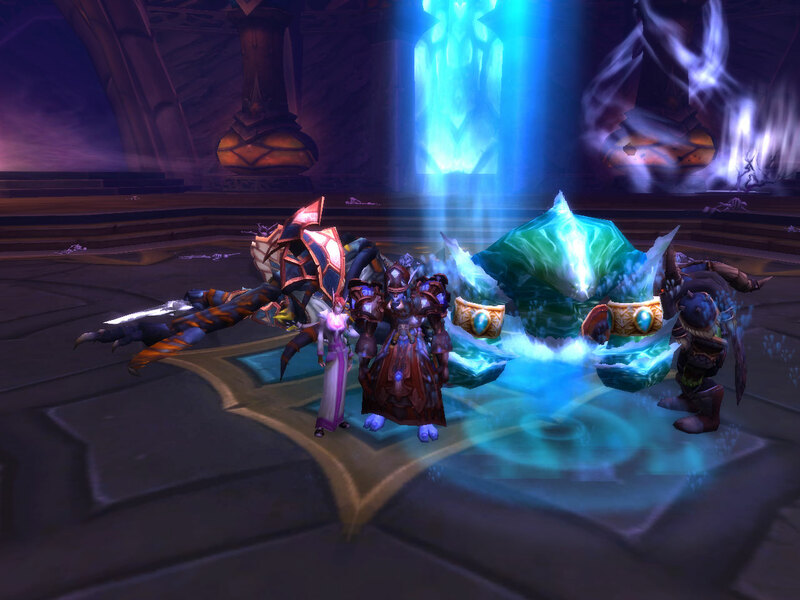 Here we killed what’s supposed to be the final raid boss of the tier, the Sha of Fear. It was a fairly simple fight, but I still enjoyed it. 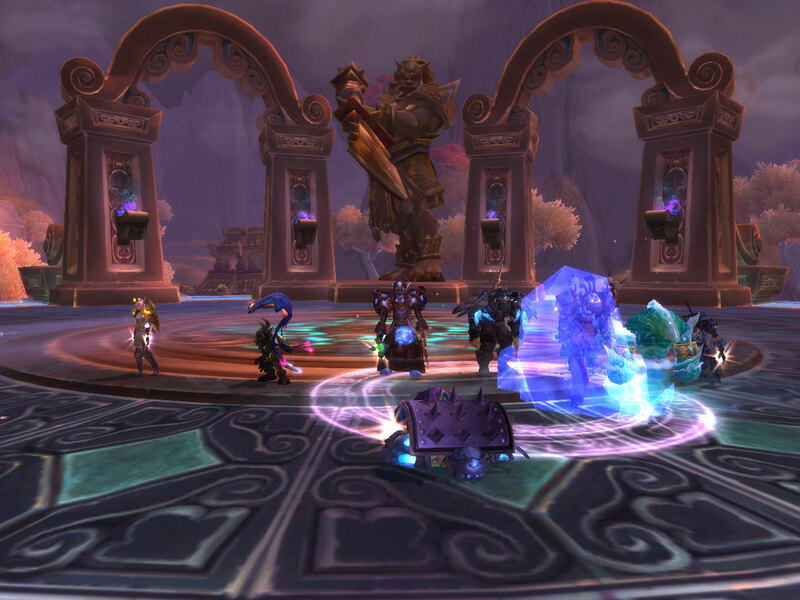 As an aside, it’s one of the more enjoyable LFR fights as well because there’s something to do. We actually posed in this one, but the body had already despawned. Oh well. I don’t have a video because I forgot to delete a large number of old videos, and my HDD filled. Whoops. We moved on to Amber-Shaper Un’sok. This was a surprisingly difficult fight. I think the main problem is that everyone can’t practice at the same time. You might get the hang of being in the construct, but then you might not get put in it next time. Once again, our kill video is here. 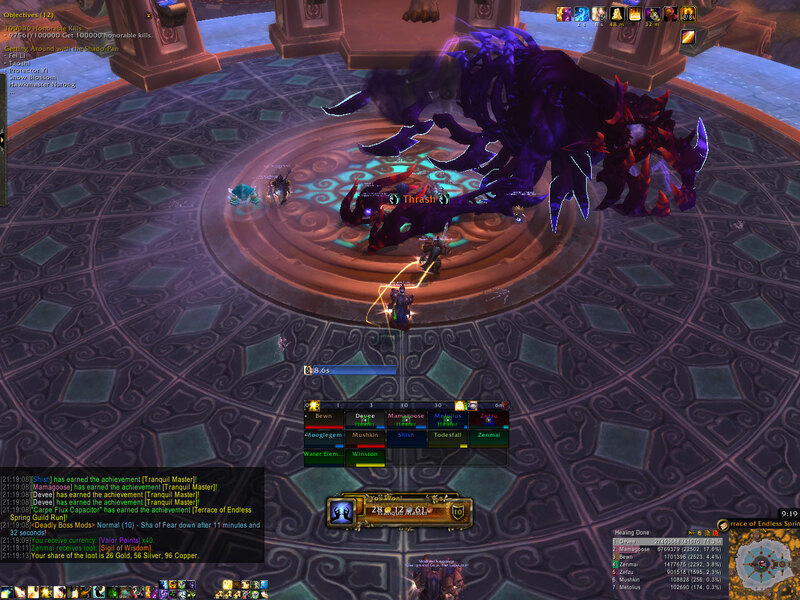 You can see our kill video for Grand Empress Shek’zeer here, and our kill shot is at the top of this post. This was a fun fight. This was going to be our final attempt whether successful or not. In fact, we had already called the raid but decided to give it one more try. I won the pants on a bonus roll, which I’ll only use once I break this tier set, and I won the mace, Kri’tak, Imperial Scepter of the Swarm, off the boss herself. Good bye, tier 14!